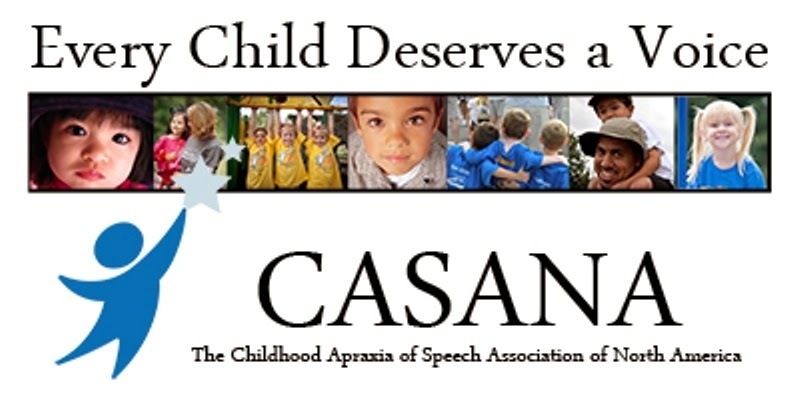 “Will my child be accepted?” It’s a question every parent asks, particularly parents of kids with Apraxia of Speech. I’ve asked that question myself many times. 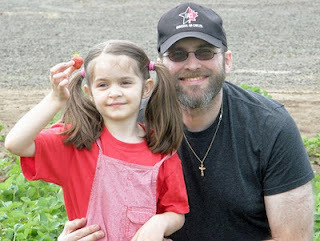 My daughter Anna has always made friends easily, but as other children her age became more verbal, I began to notice a barrier forming between her and them. It’s been two years, but this incident still sticks with me. She had just turned four, and it was the first time she was excluded because of her Apraxia. We were at our local mall's playland that day—one of Anna’s favorite places to play. She likes the waterfall themed slide, the hollow log topped with a lounging bear, and the big red canoe. I like that there's only one way in or out so it's easy to keep an eye on her. "Do you want to play with me?" The girl didn't understand, so I repeated it. "She got a bit of an accent," the girl replied. "Yeah," I said. "She's in speech therapy." The girl shrugged her shoulders, slid off the bear, and ran over to the slide. Anna followed, of course, like she always does when she wants to be friends. "I'm Whitney," the older girl said. "Do you want to play with me?" Anna asked again. I repeated what Anna said so the girls would understand. "This game's for three," Whitney said. "I'm the mommy cat, and they're the kittens." I wasn't sure if the girls were excluding Anna on purpose, or if they’d created a three-person game, but I quickly thought of a way they could include her. "Can't there be three kittens?" I asked. "Like the song?" I sang a verse of The Three Little Kittens. Anna and the two younger girls smiled, but Whitney shook her head. "This is a different game.” She got up and walked away. The two younger girls followed her. Anna started off too, but I called her over. "Anna, they’ve already started their game." I gave her a hug and sent her on her way. Within five minutes, she and another girl were running around the play area, sliding down the slide, and laughing. She was over the snub. But me? Not so much. It's something I've worried about since she was first diagnosed with Apraxia. She's always made friends so easily, but as she grows older, will she be seen as different and shunned by some of the kids? Her speech is improving rapidly, but she may need years of therapy to be completely understandable and even then she may never lose her "accent." How will she handle the rejection? How will I? How much do I shield her? How much do I let her experience so she can learn to take it and ultimately ignore it? Those questions were on my mind the rest of the day, and they’ve nagged at me ever since. Every time she enters a new social situation, I always wonder if she’ll be singled out because of her speech. Almost two years have passed since that day at the mall. She’s six now, and has just started the second semester of Kindergarten in our neighborhood public school. She still has trouble being understood at times, but she's had no trouble making friends. Her outgoing personality and our constant encouragement have made a big difference. So has her ongoing therapy. Other than her “accent,” her classmates see her as another girl in their class. If you are a parent of a child about to enter school, and you're worried about how your child will fit in, I hope that I've eased your worries a little bit. Yes it can be difficult, but in my experience it's never as bad as we imagine it will be. Take advantage of all the support that's given to you, and then let your child have fun. I have had similar concerns and experiences with my son who is now 6. He wanted to play hockey with two boys on the street and as usual was great with his entry "Hi" but after that his ability to be easily understood kind of drops off. I was ready to interject when one of the boys said to the other, "It's ok, I think he is speaking french." They then proceeded to use charades to communicate. We were just visiting so I let it go without intervening. I have discovered that after 4 or 5, there is a significant difference as the kids are into more complex co-operative play as opposed to the paralel play that they did when they were younger. The more complex play involves more language which often leaves our kids out. I have tended to stay nearby as David mentioned when we are at the park etc. I am also prepared with a brief statement for the other kids. "Ewan can't say as many words as you can but he understands everything you say. If you don't understand what he says, ask him to show you becuase he is really good at charades." That seems to bridge the gap a little. Setting up more structured activities that you assist with helps too when you are hosting playdates. Our 15 year old son, who has been diagnosed w/apraxia as well as a language processing disorder, has come across a similar situation. Several times kids have asked him where he is from because they think he has an accent. At first it bothered him...and we joked around saying he could tell them he was from a different country (his choice), but then we decided he simply could state his city, and then say "and where are you from?" Thankfully he hasn't been asked this in awhile. What has been happening now, though, is that he doesn't want to order at a restuarant or fast food place because he feels he will not be understood. This is something he is working on with his wonderful speech therapist.